Just behind the Methodist church is the St. Anna Courthouse from 1925. 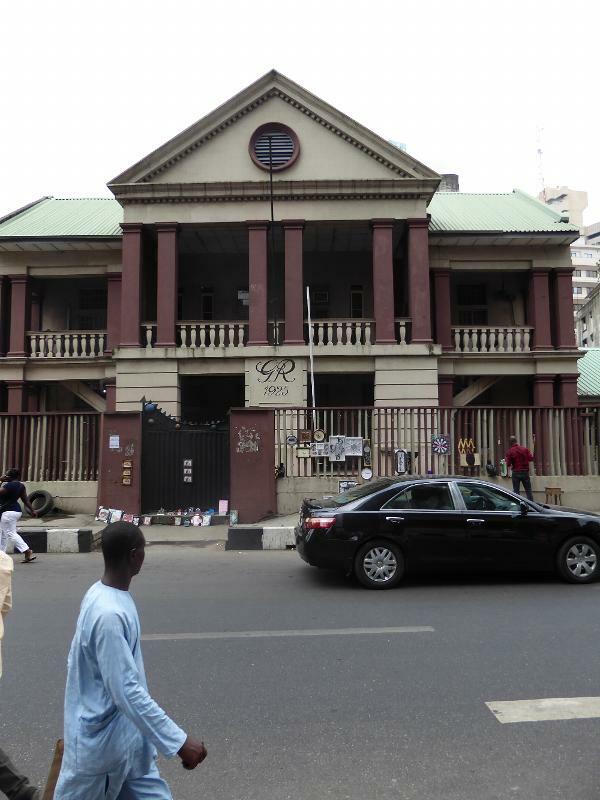 Think Lagos has any other surviving regal insignia like this George Rex? Good luck finding it.